Primal Scream are embracing their pop tendencies with new album Chaosmosis, and they’re off to Manchester for a night at the Albert Hall. To promote their eleventh studio album Chaosmosis, Primal Scream are off on the road for four dates in March/April, culminating in a night at Manchester’s Albert Hall on Saturday 2 April. The new album is released on March 18 on the band’s own First International label, through Ignition Records. It’s written and produced by Bobby Gillespie and Andrew Innes. After the sprawling psychedelia of 2013’s More Light, the band are said to have stripped things back for the new record, and made a ten-song pop album. Recorded in London, New York and Stockholm, it features cameos from Haim on backing vocals and Rachel Zeffira from Cat’s Eyes. Ahead of the album, they’ve released a video for Where The Light Gets In, a collaboration with Sky Ferreira. The band also plays Aberdeen, Glasgow and London before a series of headline shows in the summer. Support on the tour comes from Japanese noise-rock band, Bo Ningen. 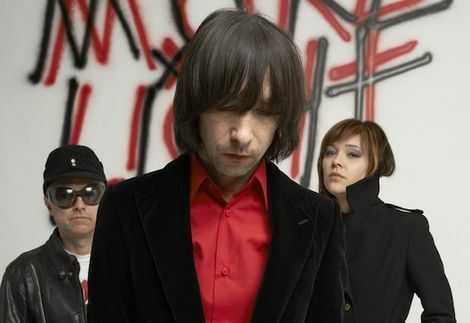 Primal Scream are so far also confirmed for Common People, Secret Garden Party and Down to the Woods festivals.